A food chain is a simple model for who eats what. e.g. Killer Whale (Orca) – eats- Seals – eats- squid - eats- krill- eats- phytoplankton. A food pyramid would also show which members of the food chain exist more numerously than others. If whales are washed up on the beach, they may have suffered so much contamination with poisonous material that they must be decontaminated as hazardous waste. The pollutants accumulate on every step of the food chain and gather in the blubber of whales. Click here to download a food chain mobile to colour in and create. Some whales, such as the blue whale, don’t have teeth, but instead have baleen (comb-like bristles that hang from the upper jaws of most of the largest whales). These animals feed by filtering (sieving) plankton (tiny drifting animals and plant-like organisms that live in the ocean) from the water. 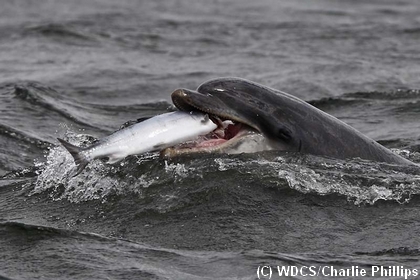 Other cetaceans (whales and dolphins) have teeth and feed on larger animals such as fish. 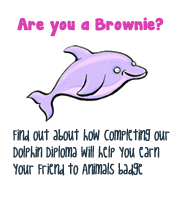 All dolphins have teeth rather than baleen. Orcas, sometimes called killer whales, are actually the largest member of the dolphin family and therefore have teeth and feed on fish and other big prey. 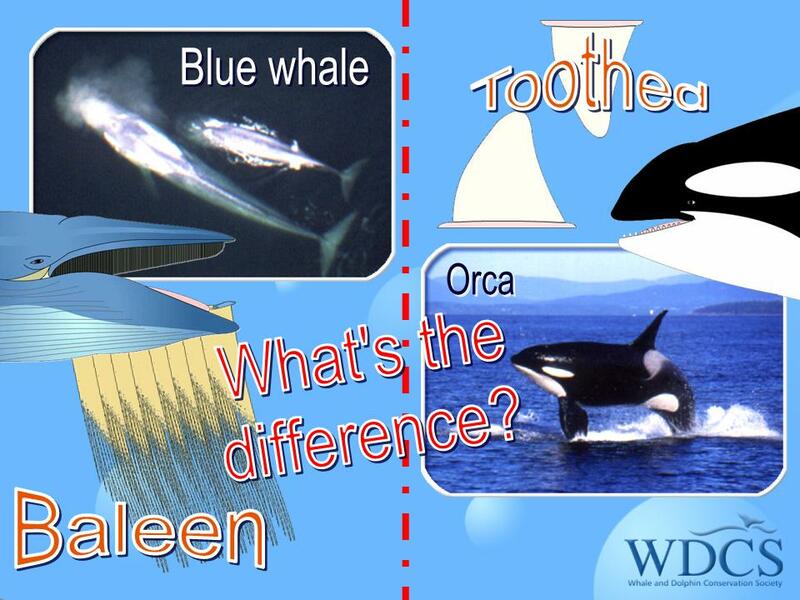 - experiment to discover how different whales feed! 3. Now try being an orca and catching fish. Why don’t you time yourself trying both feeding methods and see which one takes longer? You should find that the plankton is easy to catch but to fill up a whale you have to catch a lot of it. The fish are much harder to catch but the orca needs less of them to fill it up.